Do you hear it? We do! It’s the great outdoors calling! 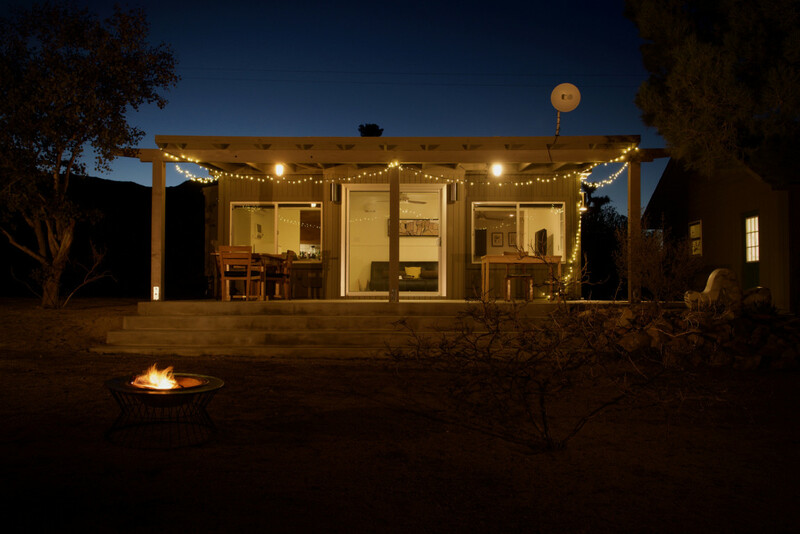 You don’t have to round up your camping gear and family tents to celebrate your next milestone. The Joshua Tree Highlands House is poised to keep you clean and comfortable throughout your adventures. 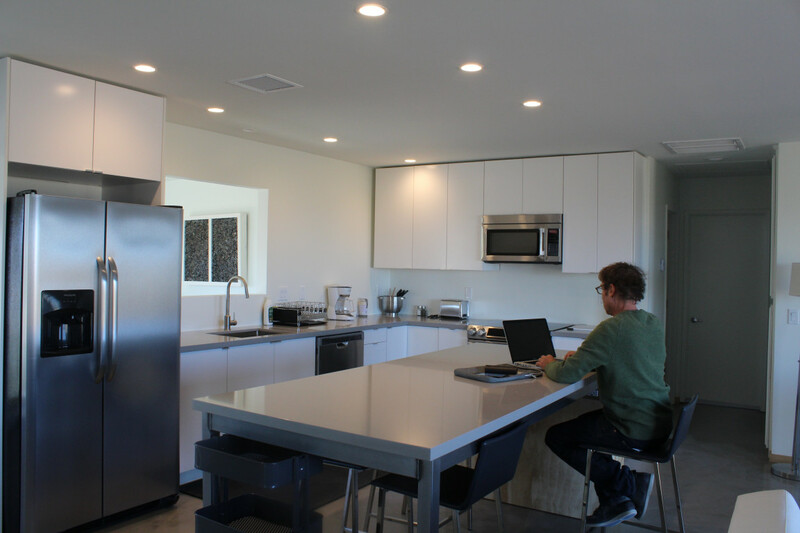 With full kitchens and accommodations ranging from rooms for 6 to 16, you can invite all your favorite people to celebrate. Amazing 360 degree views from all our location. 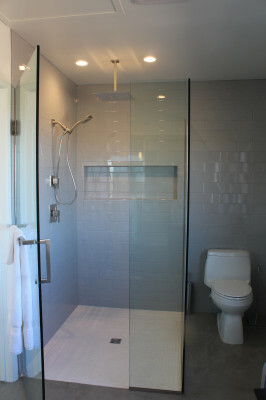 7% tax & refundable security deposit $75 - $150. 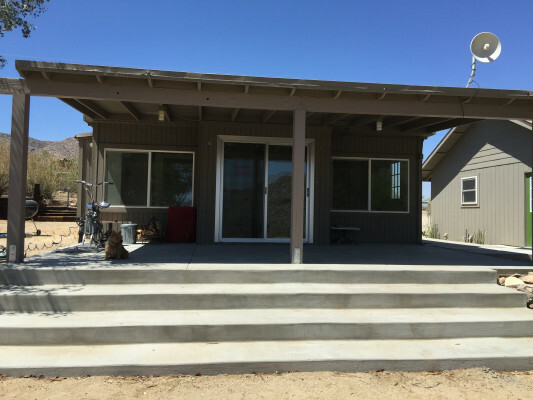 The Joshua Tree Highlands Houses has multiple accommodation on 5 acres private parcels in the Highlands adjacent to Joshua Tree National Park. We are able to accomodate up to 10 guest with our rentals. Unfortunately, due to the counties guideline we can not have large events such as wedding in this area. 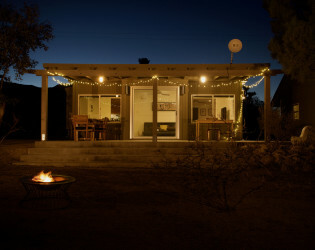 We can gladly accomodate guest for places to stay for your guest during any such event. Welcome to Joshua Tree, Ca. 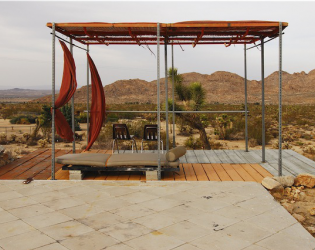 Gateway to Joshua Tree National Park, one of the premiere national parks for hiking & rock climbing. 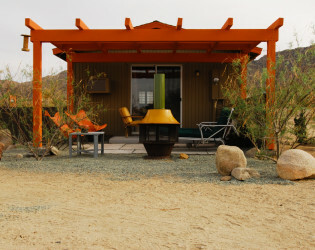 Our luxury private homes & cabins make for the perfect getaway to experience the beauty of the Mojave Desert. 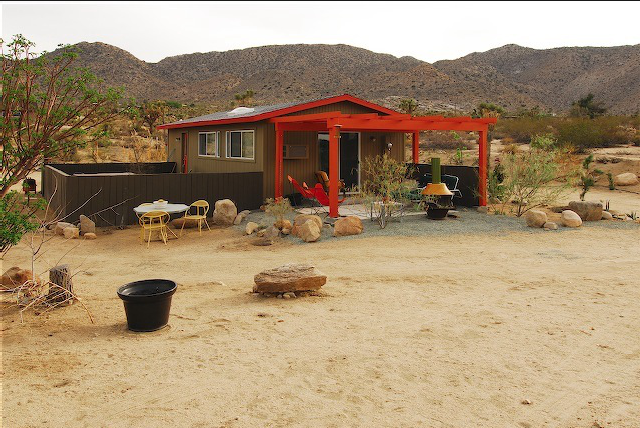 The Joshua Tree Highlands Houses & cabins are all on their own 5 acre parcels. This is a private getaway for your perfect vacation. 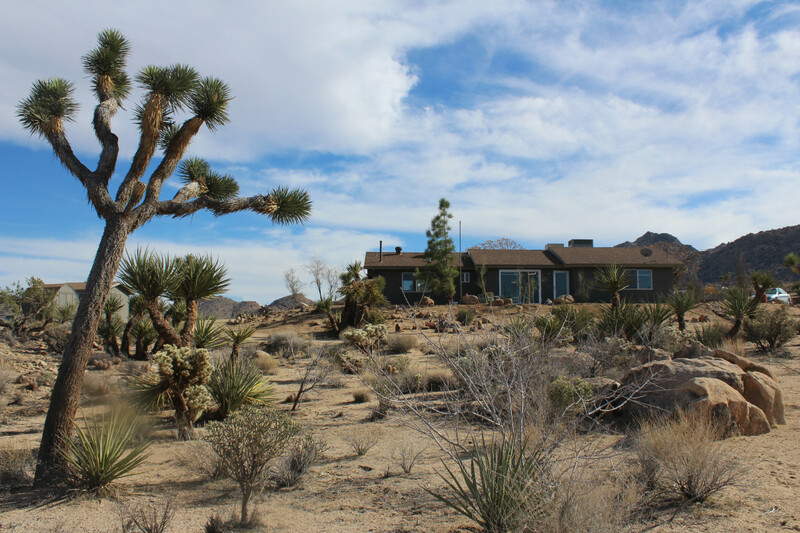 Each property is only 4 minutes from the west entrance to Joshua Tree National Park, with great views from each location looking down into the scenic view of JTNP. 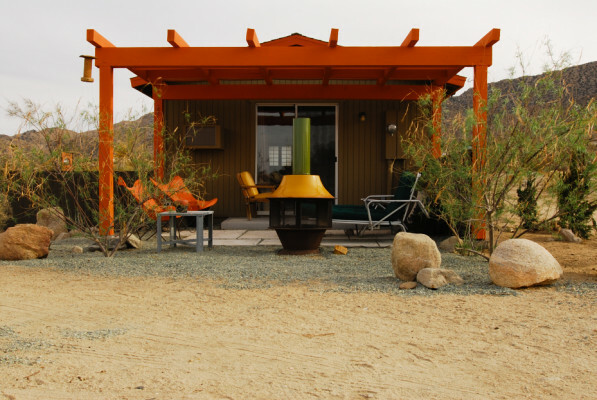 The decor of our houses & cabins are mid century modern. We can offer our guest private massage, yoga class, & updates for local events, such as music events & art event opening in the area. 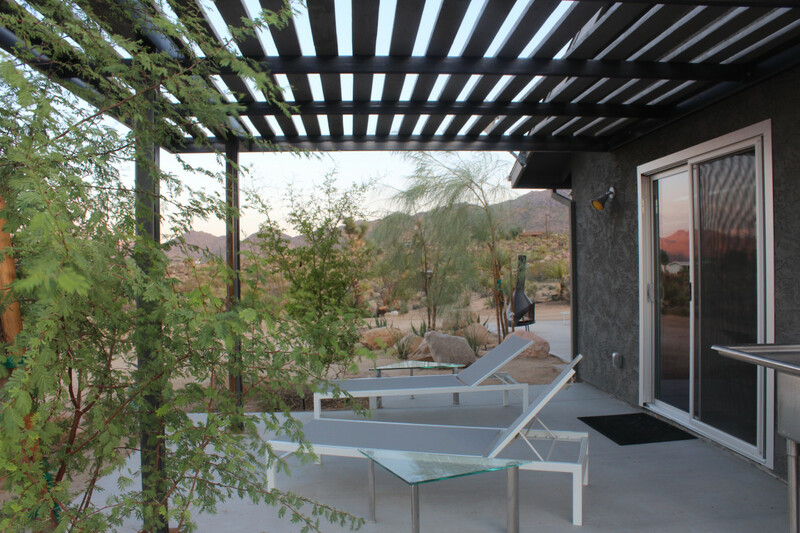 Each of our places has your own private outdoor jacuzzi. We supply free firewood for your romantic campfires. 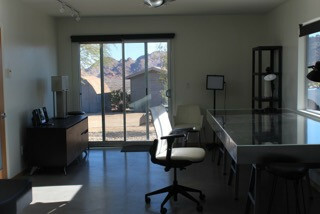 Our large studio space can accommodate up to 30 people for parties. 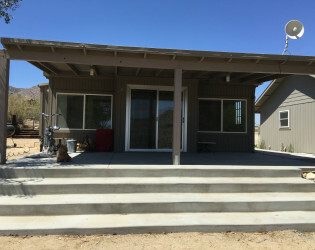 Luna Mesa is our smaller cabin. 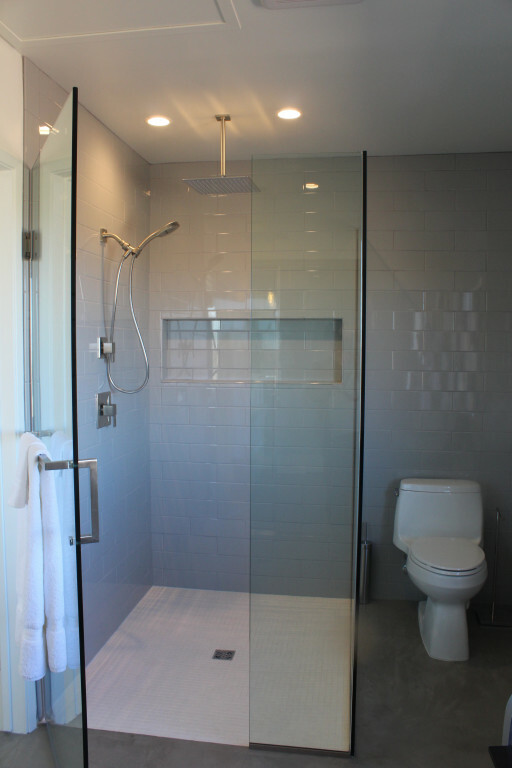 Beautifully appointed with everything you might need for that romantic getaway. 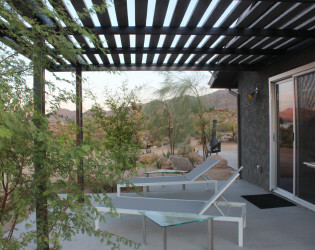 Great views, outdoor jacuzzi for watching the stars at night. 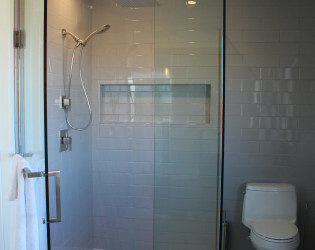 Fully equipped kitchen,bathroom ,all linens & towels provided. Free wi-fi. & air conditioning & central heating. 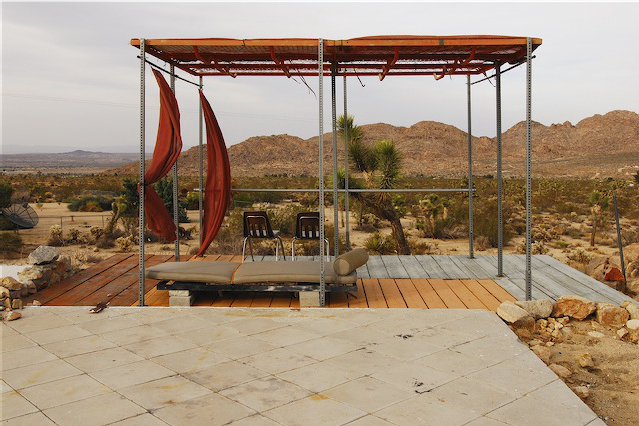 - View: Your view looks out onto Joshua Tree National Park. Villa Rocosa is our larger cabin built into the boulder's of landscape. Contemporary remodeled homestead, kitchen, bath, indoor fireplace, outdoor jacuzzi. 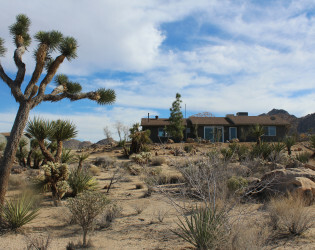 - View: Beautiful view of Joshua Tree Highlands National Park. Great out cropping of boulder on the property. We call it our own mini Joshua Tree Park. The artists studio is one bedroom cottage with kitchen & bathroom, central air & heating, free wi-fi & a larger 900 sq. ft. artist studio for creative project. 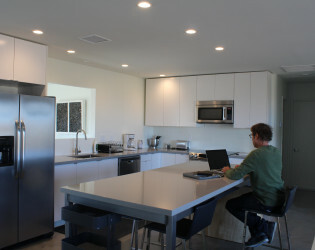 Studio also has kitchen & bathroom for guest. 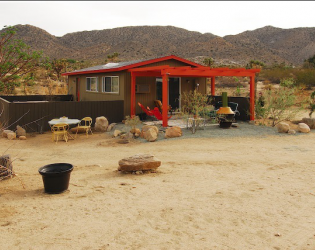 - View: The studio is on a 5 acre parcel with views of Joshua Tree National Park. 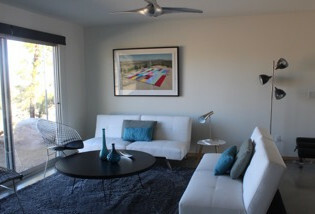 Sky House is a two bedroom, full kitchen, dining room, bath, indoor fireplace, outdoor jacuzzi. Jacuzzi spas at all our rentals.